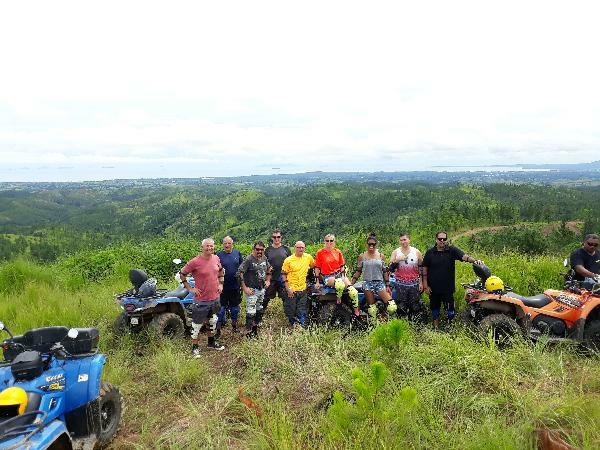 Blast your way through the Fiji mountains on a 500cc quad! The best way to get up close and personal with natural Fiji is on a Go Dirty Tour. Take a scenic drive along the main road through to Nadi Town. See the biggest Hindu Temple in the South Pacific, then wind your way up into the interior of the island, crossing rivers and following the tracks through mud puddles. Your tour guide will entertain with talanoas (stories) and there are countless opportunities to stop for breathtaking photos. After your drive-through of Nadi Town you’ll hit the dirt to the Nausori Highlands. 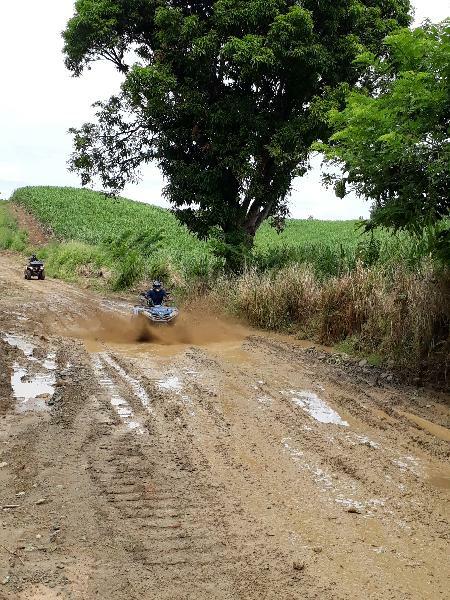 Adventure over rough tracks, through mud puddles and river crossings and take in incredible views from the ridges. Upon reaching the mountain plateau you’ll take a break for a light snack and refreshments, while you soak up the view of the Mamanuca Islands. When you’ve descended back down the mountain you can make use of the hose shower to wash away the mud from your action packed adventure, before being delivered back to your hotel. Great fun for all ages, you have the option to drive your own quad or be driven by your guide on a quad or in the buggy. A moderate level of physical activity is required. Quad bike (2 seater). Please note that the tour is sold per seat. Return transfers (Nadi). Please call Go Dirty to confirm your pick-up location and time (contact details provided on your booking confirmation). Duration: 2-3 Hours Passing Nadi Town & Hindu Temple, Pine Forest Trek to Nakala Mountains, Beach Photo Stop. Great value! So much fun!! "Go Dirty Tour" is something you must do! Highlight of my Fiji trip!! Big Vinaka for your excellent review and hope to see you again very soon. This was my first time I had been on a bike and it was bloody awesome! 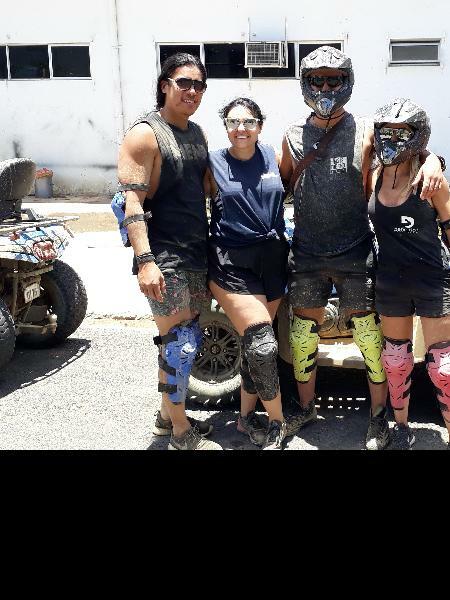 From when we first got pick up from our resort until they dropped us off, the guys at "Go Dirty Tours" made every second memorable. My wife and I felt very safe throughout the tour but also enjoyed the challenge of the mountain climb, rough terrains and sandy beaches. I'm glad I did the tour as we got to explore how beautiful Fiji really is. I'll do the other tours next time I'm in Fiji. Would definitely recommend this to anyone! I booked this tour from Bookme.com and had no trouble with it at all. I did this on my birthday and from start to finish I it say this was awesome. The staff on arrival were excellent and Junior who was our guide kept us entertained and safe. The viewpoint was just beautiful and the ability to drive the streets like a car were probably my favourite part. Highly recommend !! So cool - your pictures say everything - and we do this for a living - lol. Thank you so much Thomas it was great to have you and your partner with us - a big thumbs up from the Go Dirty Team. Of all things we done in Fiji, this was our favourite! Had an absolute blast! 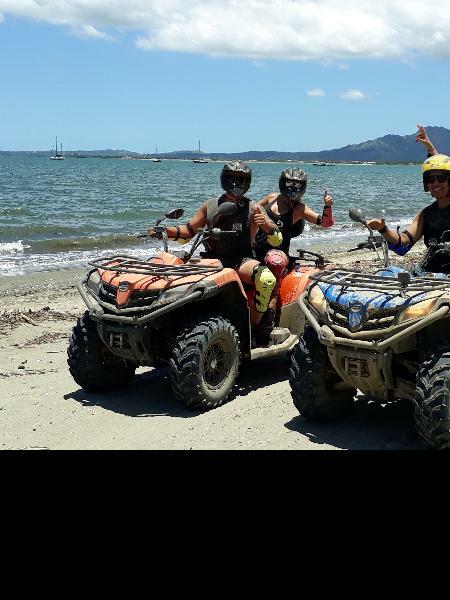 I enjoyed the Go Dirty tour thoroughly and recommend it to anyone who is wanting to explore the island. It was a hands on and fun way to see Fiji. All of the staff were extremely friendly and willing to help. Junior in particular was an outstanding leader who is very knowledgable in his role. Thank you - I had an amazing time! 10/10 from me. Vinaka Michelle. Great review and we hope to see you back soon in Fiji. Your message has been sent to Go Dirty Tours - Play Dirty Tour. You should hear from them shortly. Please note: all responses will come directly from Go Dirty Tours - Play Dirty Tour, and not the team at Bookme.